The holidays can be filled with hustle and bustle, but this year resolve to make Thanksgiving different. Leave the stress of the season behind and opt for an Orange Beach Thanksgiving. Relax and recharge your mind, body, and soul. A holiday getaway on Alabama’s beaches offers the perfect time to reflect on the past year and give thanks. How do you make the most of the holiday in Orange Beach? Read on for details. Enjoy a hassle-free holiday by taking advantage of conveniences like grocery delivery. Skip the lines at the grocery store when you pre-order your groceries via the VIP Spectrum Experience with a GEM specialist at Turquoise Place. What could be better than arriving in your luxury Orange Beach condo to find your groceries stored away in the refrigerator and pantry? When you really want a hassle-free holiday, stop by the Spectrum Club Lounge. The lounge is designed and offered exclusively to Spectrum Resorts guests and features a complimentary continental breakfast Monday thru Friday from 7 a.m. to 10 p.m. In addition, a welcome reception is held every Wednesday and Saturday from 3 p.m. to 6 p.m. 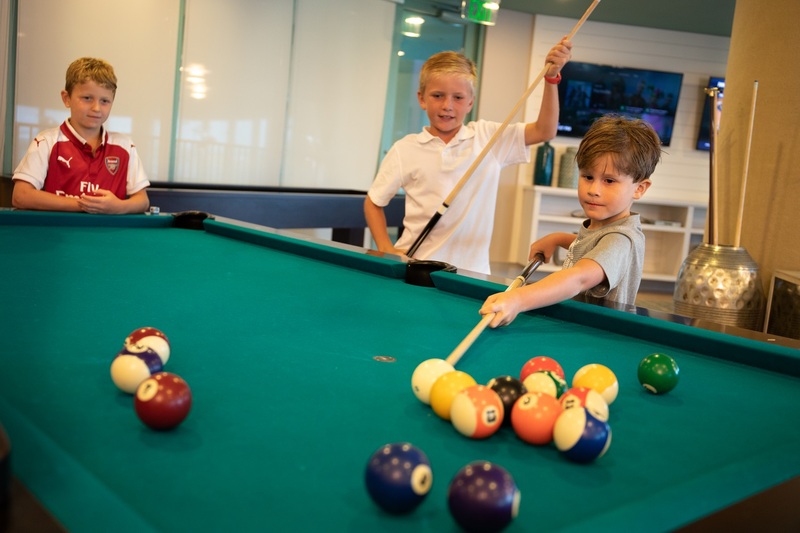 Between the hours of 7 a.m. to 8 p.m., Spectrum Resorts guests are invited to take advantage of games like ping pong, gaming consoles, and family board games. The Spectrum Club Lounge offers a fun place to relax and unwind, especially in the event of inclement weather. Operating days and times change seasonally, so be sure to inquire when booking your Thanksgiving in Orange Beach vacation. If you want to enjoy the comfortable surroundings of your condo, but don’t want to cook an entire meal, you’ve got options. Gulf Shores and Orange Beach grocery stores like Publix and Rouses Market offer Thanksgiving to go options when ordered in advance. You can pick up your entire holiday meal. Just reheat it in your condo. Now, if you prefer for someone else to handle the meal prep and clean up from start to finish, make reservations for the Thanksgiving buffet at Coast Restaurant & Sushi Bar. Located at our sister resort in Gulf Shores, The Beach Club Resort & Spa, you can leave the cooking to the experts. Award-winning chef John Hamme and his team of culinary professionals are preparing a feast that’s sure to put you in nap mode when you’re finished! So, if you want someone else doing the dishes, make reservations at Coast Restaurant. Some of the items served include prime rib, sweet tea-brined pork loin, oven-roasted turkey, house-smoked salmon, cornbread dressing, Southern-style green beans, sweet potato souffle’, salads, desserts and so much more. Nov. 22, 2018, 11 a.m. – 2 p.m. Call (251) 224-3600 to book your table. When you’re not feasting on turkey and dressing, there’s plenty to do – or not do – during Thanksgiving in Orange Beach. 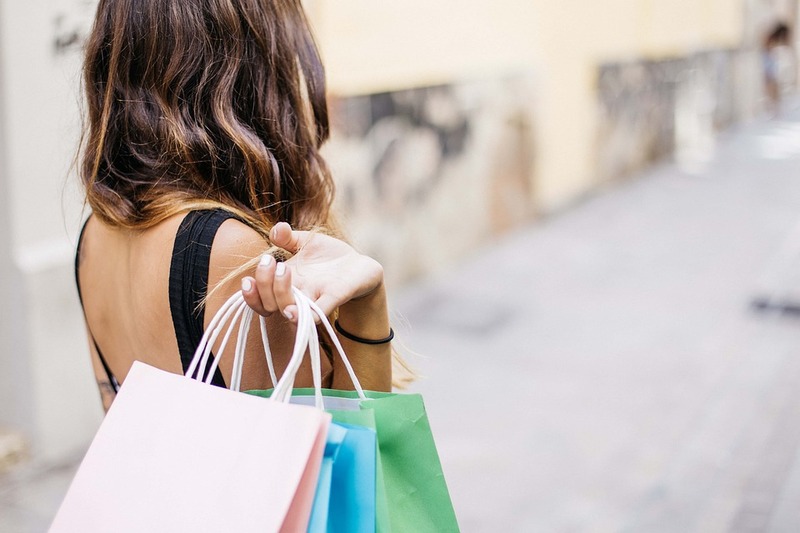 Tackle a little holiday shopping on Black Friday at The Wharf. Be sure to stop by The Southern Grind Coffee House for a great cup of Joe to get the morning started! Send the kids to play a round of laser tag at Arena Next Level, also at The Wharf. Top off a day of shopping at Red or White with savory appetizers and your favorite glass of wine. Of course, we can’t forget the beach! 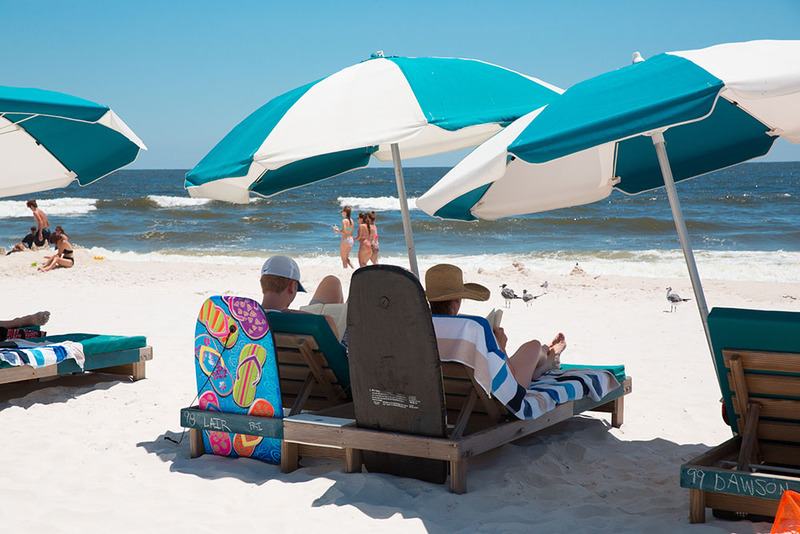 Whether you’re playing a game of beach volleyball, sand football, or just relaxing with a good book, the white-sand beaches are ready to welcome you back for a hassle-free Thanksgiving in Orange Beach. Check out the Turquoise Place amenities and activities here. Reserve your Orange Beach condo at Turquoise Place and enjoy a holiday to write home about with family and friends.